Just Mary and Maggie Muggins are names that will arouse memories in those who grew up with CBC radio and television in the 1940s and 1950s. 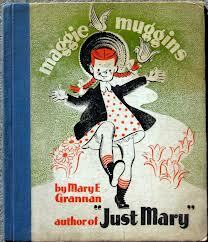 The creator of these and other children’s shows, former Fredericton schoolteacher Mary Grannan, became a radio star when she hit the national airwaves in 1939, her popularity peaking when Maggie Muggins moved to television in 1955. Long before The Friendly Giant and Mr. Dressup appeared. Mary Grannan was born on 11 February 1900 in Fredericton, New Brunswick, the second of three daughters of William and Catherine (Haney) Grannan. At a young age, Grannan’s artistic creativity was greatly influenced by her father, who was fond of drawing and reading, and her mother, who was a rich source of humour and storytelling. Grannan received her education at St. Dunstan’s and Fredericton High School, and then later attended the Provincial Normal School where she graduated in 1917 with a teaching degree. After teaching for several years at the Devon Superior School outside Fredericton, where she entertained her classes with lively stories, Grannan began writing plays and skits for school productions. She was involved in the St. Dunstan’s Dramatic Society and further explored her artistic nature by travelling to Boston in 1927 to study art at the Vesper George School of Art. Upon her return to New Brunswick, she entered work in the local exhibition and supplied political cartoons to The Daily Gleaner, Fredericton’s daily newspaper. Grannan was first introduced to radio in 1935 when the Canadian Teacher’s Federation used radio broadcasting as a part of the first National Education Week. The fledgling radio station CFNB, started by brothers Stewart and John Neill, broadcasted a programme using two local teachers—Gertrude Davis and Grannan. The popularity of the programmes Musical Scrapbook (1936) and Aggravating Agatha (1936) grew, and Grannan began writing twice-weekly scripts. Grannan continued writing part-time for the radio show while maintaining her teaching position until 1937. In that year, Grannan and Neill began broadcasting Just Mary, another children’s radio show that became an instant success. Shortly after, in early 1939, she was offered a position at the Canadian Broadcasting Corporation. 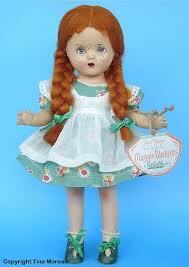 was immortalized as a doll, and over 11,000 of these toys were sold in 1948 alone. Grannan thus had a successful career in print, radio, and television during the CBC’s infancy. Her work influenced and shaped Canadian children’s culture in post-Depression and postwar periods. For more than two decades, Canadian children grew up being educated and entertained by her work. She was able to capture the hearts of a generation of children. After living and working in Toronto for over two decades, Grannan returned to New Brunswick, where she died on 3 January 1975 at her home in Fredericton. Grannan received two honorable mentions from the Institute for Education by Radio in 1942 and 1950. In 1951, she was named an honorary member of the International Mark Twain Society, and in 1947, she received the Beaver Award from the Canadian Broadcasting Corporation for distinguished service to Canadian Radio for Just Mary.